Mark shook me awake as I threw up a hand to silence him. Staring bleary-eyed at my watch, it was far too early to be getting up at this hour. I felt I hadn’t slept enough seeing as we went out in the Old City of Zadar the previous night and in response, I pulled my covers over me. He knew exactly the words to make me spring out of bed. My iPhone has no battery left and refused to charge. Seeing as Split is the second city of Croatia, there’s got to be an Apple Store there to see to my predicament. Saying our farewells to the fantastic staff at Wild Fig Hostel in Zadar, we arrived at the bus station, bought tickets and I promptly laughed at Mark’s devastating attempt to find food and recover from the night before. He stayed out a lot longer than I did and I suspected he hadn’t even had two hours sleep. A quick four hours on the bus, we arrived in the majestic and (another) Roman based city, the old city walls hiding the true sight in Split that is Diocletian’s Palace. As I pressed my nose against the window while Mark snored silently next to me, threatening to drool on my shoulder, I could see that the area was a buzz of metropolitan happenings. It was a stark contrast to the old and very chilled out cities of Pula and Zadar and even Zagreb, which felt bohemian. We had arrived in the ‘posh’ part of the Dalmatian Coast. Jumping off the bus, we tried in vain to find the hostel I booked the night before, Hostel Split. It seemed there were different variations of the name. Backpackers Split, Split Backpackers Inn and more. It was rather frustrating at first as we walked with our heavy backpacks in the searing August sun. The first hostel was rather upmarket but as we continued to find ours, every hostel we went to, the standard slipped and slipped until we found ours in a discreet alley right next to the Split Green Market. Checking in, our room was completely stuffed with five bunk beds in a line of a very narrow room and not enough space to swing a very small kitten. It looked a little dirty and I couldn’t believe that in our ‘kitchen,’ the hostel staff used it as their laundry. Don’t get me started on the bathroom. Oh, did I tell you about the creepy Italian old guy who greeted us with an overeager hello as he sat on his bed wearing just his underpants as if he was expecting us? Making a swift exit after dumping our bags, we went to explore Split, not that we got the help of the hostel staff who looked at us bored and apparently didn’t know anything about the city they were living in. Dalmatian life can be seen in full force here in the second largest city in Croatia. With a mix of differing types of architecture oth modern and traditional, it comes to no surprise that a big part of Split is designated as an UNESCO World Heritage centre (yes, that again!). Diocletian’s Palace is a standalone testament to the mighty Roman Empire but the other jewels in Split’s crown definitely has to be its natural beauty. The stunning coastal mountains off set by the turquoise waters of the Adriatic Sea that laps up on the harbour has seen civilisations overawed by the country that they found themselves in and they really do appreciate it by the wonderful city that they have built to reflect their belief. 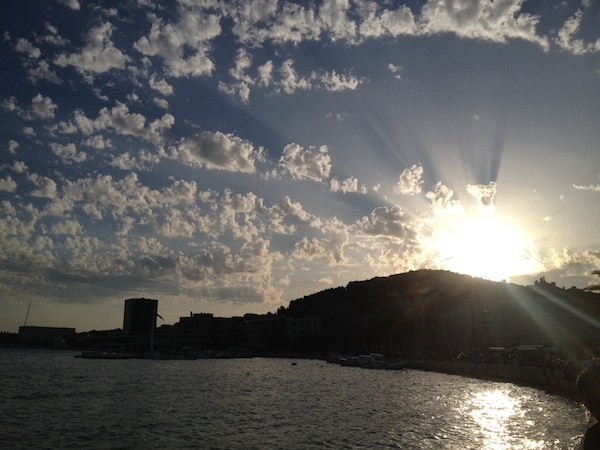 Split is also a natural gateway to the much-anticipated islands and has grown as a major transport hub to connect to other countries such as Italy bringing a growing tourist presence. 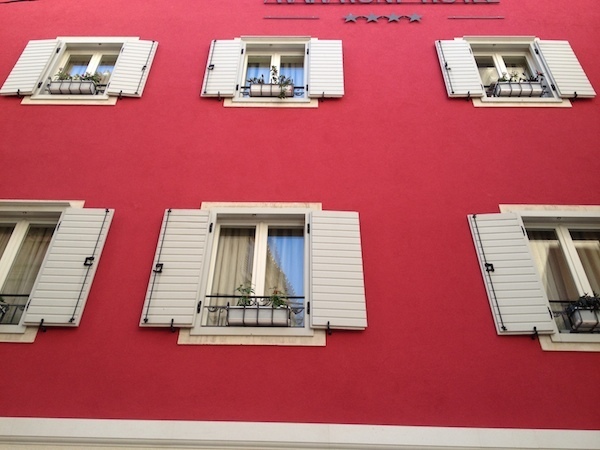 It comes to no surprise that Split is again influenced by Italian customs and traditions as the city was controlled by the Venetians from the 14th Century until the Austrians arrived in the 17th Century. Perking ourselves up with a coffee (Croatians love their Italian coffees), I went in search for a phone store as to my dreadful realisation, there was no Apple Store anywhere in Croatia apart from Zagreb. Would I have to spend the rest of my backpacking journey with my phone, which I used for blogging and taking pictures, let along social media? Looking at my own charger, it came about that there was a tear in the wiring and the other charger I used from Zadar’s hostel simply was a dud. I was so relieved. After all this time, I was so worried that this would be an elaborate and expensive job. Buying a new charger, I could smile happily now and explore Split without any distraction. Opting to save Diocletian’s Palace for the next day, we explored Split in its own right using most of the afternoon we had left. Yes, you read that right. Froggyland. The first thing we absolutely did in Split was to go and look at 507 stuffed frogs. 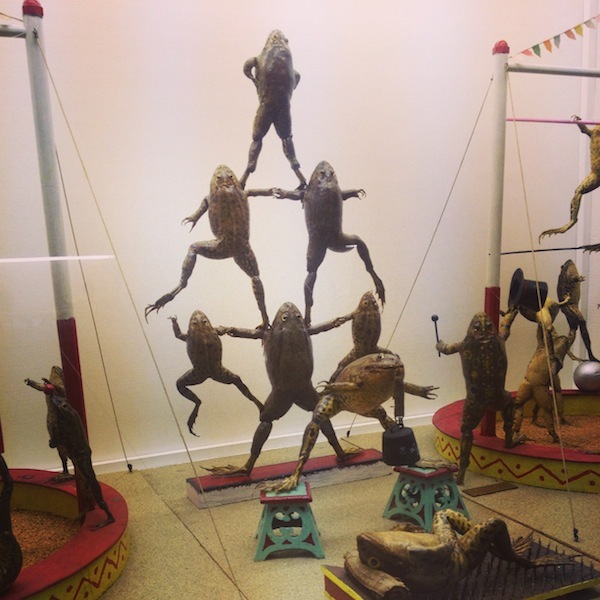 The brainchild of Ferenc Mere who stuffed frogs through a demanding taxidermy way placing them in social situation to make you guffaw loudly to yourself. Recommended by a fellow backpacker we met in Zadar, we browsed the 21 exhibits representing the lives of our ancestors including a school, circus and a blacksmith shop. It was completely surreal and I couldn’t believe people actually paid to look at them. Spending a good hour in hysterics was needed to refresh our backpacking life on the road after a week. We daren’t stay any longer as we needed to get dinner so we ‘hopped’ to it… GEDDIT?! If you do have to eat in Split, I really recommend that you should eat the special Calzones at Galija Restaurant. Family run, it’s the place to go where locals hang out for good pizza. The staff with their warm personalities really makes a difference turning your dining experience into a wonderful one. If you really want a truly delicious dish then I would go for the Quattro Stagioni. 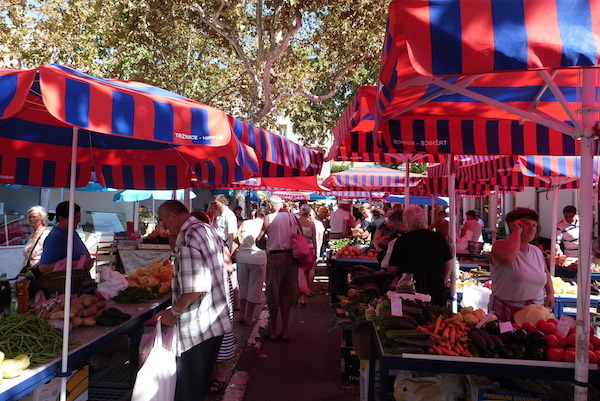 A hubbub of Croatian languages rise above the stalls of the Split Market as you browse wares, souvenirs and local produce. It’s a great way to talk with the locals as you banter and barter with each other whilst discovering each other’s cultures. My personal favourite was the surly young woman who refused to crack a smile while I teased her until I did my impression of a monkey upon spotting a banana. From then on, we were friends as she wanted me to take a picture of her. That wasn’t creepy right? As the sun set on a very lazy day, we took a wander on the Old Riva Harbour watching the stunning display (I firmly believe all sunsets are individually unique), you certainly see the Dalmatian life being played out on the seafront. Couples drape over each other, large sunglasses masking their faces, local fisherman bring in their haul from the sea, grunting with perspiration. 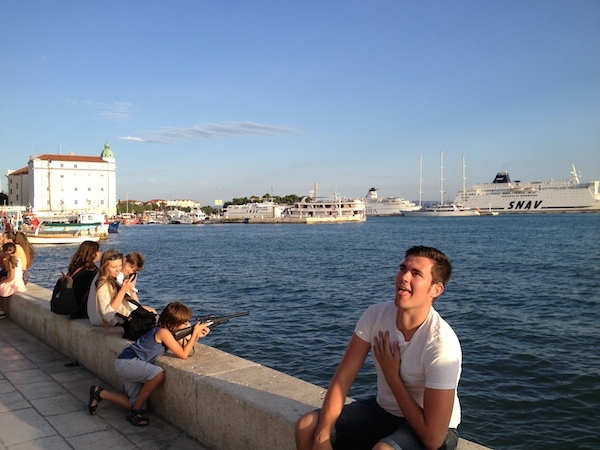 Screaming with delights, kids run around pointing their toy guns at me (why me?) and trying to push me over into the sea while I take the perfect selfie. The harbour is long and grand, running past the entrance to Diocletian’s Palace and a perfect evening to reflect your journey as your eyes search the sea. Opting for a quiet night in the hostel as we stayed up late the previous three nights, we left our chill out bar within the walls of Diocletian’s Palace and planned to read and sleep in bed (not together may I add). But there was a pleasant surprise that awaited us. Five beautiful Finnish girls was sharing our dorm room. Immediately, we chatted them to them (it’s being sociable, right?) much to the envy of the male only dorm room where angry looks were thrown at us. Hanging out in the courtyard, we spent the majority of the night chatting away until Mark had the bright idea of going out to a local night club. Warning him, that we had to go to wake up early for our walking tour of Diocletian’s Palace, I left him and the two Finnish girls to party until dawn. Meanwhile, I stayed behind chatting with the rest of them before sleep overcame me. 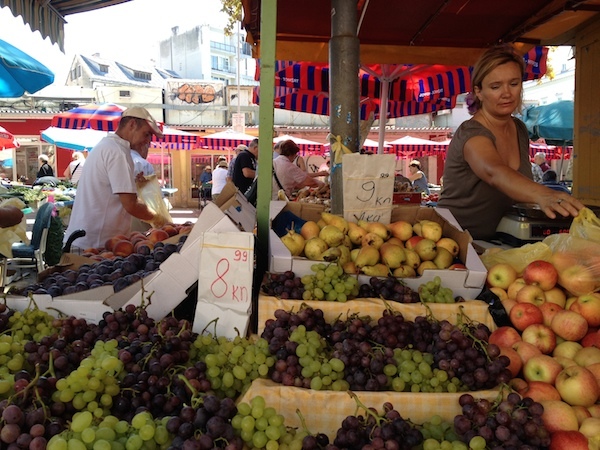 There and then, I dreamt of human sized frogs in Split market selling their frogspawn to Finnish visitors. What a random day. Have you been to Split? What was your favourite thing to do there? We were so tempted by Froggyland but read that photos were forbidden…? I have visited Croatia a few times and love it so much I would have to say it is my favourite overall countries in Europe. It has a perfect blend of nature, architecture, history and beaches. I note you have chosen to travel there in the colder months which is unusual as most of the tourist come between June to September. How do you like it compared to other places you have visited? I know the prices will appeal more to you outside of season however my thoughts are that Croatia just has another dimension when it is warm and you get that Mediterranean atmosphere that comes in holiday season when you can boat sail and bathe in its beautiful ocean. The sun glistening of the majestically clear blue water is an unbelievable sight. My favourite region in the summer is in and around Sibenik. Beautiful towns of Primosten, Vodice, Tribunj, Rogoznica, Island of Murter accessible over a small bridge- a great base for Kornati island archipelago , Skradin and the National Park Krka.